The revolutionary technology of pixel-shifting has injected a lot of controversy and confusion into the world of 4K projectors. People are concerned about what is true or genuine 4K and what is fake or "faux-K." What is the difference, and is it anything to worry about? In the end, as we go about categorizing and defining these products, the practical question is what makes a 4K projector 4K? Back in the day, the native resolution of a projector was a big deal, and rightly so. There was a massive visible difference in picture quality between SVGA and XGA, and between WXGA and Full HD 1080p. When comparing these projectors there were obvious differences in detail and image sharpness. Visible pixelation (the screendoor effect) on lower resolution projectors was supremely annoying and desperately to be avoided. Anyone in the projector biz could tell at a glance just from looking at pictures on the screen what the native resolution of the projector was. So we all grew up KNOWING that the "native" resolution of the chips was directly related to ultimate picture quality on the screen. That was then. This is now. In our new reality of 4K resolution and pixel shifting technologies, there is ZERO correlation between native resolution (the number of physical pixels on the chip) and the actual resolution of the picture you see on the screen. The chip's physical resolution, at least in the home theater world, has become irrelevant. The revolution began with JVC's introduction of pixel shifting in 2013. This was a radical new approach to getting substantially higher picture resolution out of native 1920 x 1080 D-ILA chips. Epson followed using pixel shifting on 1920 x 1080 3LCD chips. Then Texas Instruments released an 0.66" 4K UHD chip with a physical mirror matrix of 2716 x 1528 which uses two-phase pixel shifting to create 8.3 million pixels, which is 4K UHD. They followed that with an 0.47" DLP 4K UHD chip which has a physical mirror matrix of 1920 x 1080. It uses four-phase pixel shifting to create 8.3 million pixels. To no surprise, this has fueled a lot of controversy over what is "true 4K" and what is often disparagingly referred to as "faux-4K" or simply "faux-K." This term is widely used by industry personnel, reviewers, and consumers alike. It often connotes that there is something inauthentic and undesirable about the pixel shifting technologies and the 4K projectors that use them. In reality, pixel shifting has produced rapid advances in picture resolution at prices far lower than you must pay for projectors that have native resolution 4K chips. It is a terrific technology that is hard not to love once you see it. And the simple fact is this: we can no longer glance at an image on the screen and know the physical resolution the chips in the projector like we could before. Today there are 4K projectors using chips in various physical resolution formats -- 1920 x 1080, 2716 x 1528, 3840 x 2160, and 4096 x 2160. And they are all capable of producing impressive 4K resolution pictures. Even the current JVC and Epson models that use two-phase pixel shifting on 1080p chips can produce pictures that come a lot closer to replicating a full 4K picture than one might imagine possible--sometimes they can even beat the 4K UHD DLP chips in the subjective impression of image sharpness. Good informative post Evan. Let the buyers and sellers beware! So as per the next review/comparison, will the Viewsonic PX747 have a higher contrast ratio than PX727 b/c of higher lumens or is that not related? That projector and a $300 screen is $1600 for an amazing home theater experience at a fraction of the cost of OLED/QLED/?LED... Thank you for educating us on this! Timely writeup of course, thanks. As enthusiasts have known for years, display resolution is not necessarily a major determinant of the final image quality. I recall a decade ago when Dan from Marantz did demos of their 720p DLP vs some then new 1080p projectors that the better lens and contrast of the Marantz yielded an image that was strongly preferred by most. The lens on Sony projectors has been well known as a limiting factor in transmitting true 4K resolution in the lower models. However I think it may be a bit bold to claim that there is ZERO correlation between chip resolution and perceived detail. Your comparisons are all between projectors that are "one step" apart from each other. 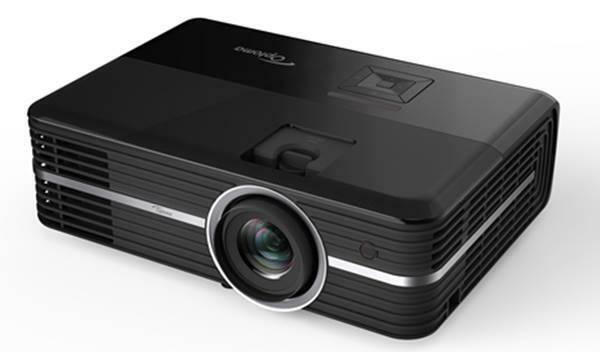 What if one of the 2 phase 1080p projectors like the Epson HC4000 is compared to the Sony native 4K? Obviously they are a different price class but the claim is that there is no perceived difference in detail with any of the "faux k" vs "true 4K" imagers, so this comparison begs to be made to substantiate that claim. Hey Evan, Since you are talk about the differences between a 2 and 4 phase chip, does that mean they can easily change the 2 phase chip to a 4 phase chip in the future for 8K on the .66 chipset? It makes senses this would work because they have already perfected this on the 1080p chipset, so they probably already have this 8k setup now on a 4 phase .66 chipset. I just hate how they have to come out with so many different formats to keep people buying their products. You know JVC and Epson will finally release a native 4k chip only in a year or so to add their next E-shift technology to take them to 8k when they already have this developed now. I know that we are limited on any 8K media, but having the equipment now only will keep disc media alive because there is no way they can stream this yet and 4K up sampled to 8K would be excellent. Just like how 1080p Blu-ray looks better on these 4K enhanced projectors. I don't think politicizing tech by using fundamentalist and tech liberal is helpful at all. The bottom line is if you're happy with the large home theater image you have regardless of tech, who cares. But there is also objective reality. Notice how there is no debate on what a 1080p projector is. Because it's obvious. Notice how no one argues over whether the Sony VW285 is 4K or not. Hmmm. Why is that?If you have to qualify the statement that your projector is 4k.....It would be much simpler to have 4k and 4k compatible or 1080p+. Even though there is little news here that hasn't been mentioned in passing in the individual reviews over the last few years, I find it very timely and extremely valuable to have this summary and real-world assessment available. Excellent, thanks! There's far too much focus on resolutions beyond what most of our eyes can perceive, although clearly it's helping to shift a lot of 45"-65" TVs where the benefits only of resolution will be even lower. Optoma - I wonder if the differences between the phases affects refresh rates in the various 4K formats like 60hz etc and if it impacts input lag in anyway? Don’t the mirrors move and pixel on/ off color changes have to fire 4 times more than a native 1 to 1? This constant jump would make pixel structure less distinct. Hey Evan, Great write up, really getting the discussion going. I notice during almost all head-to-head comparisons between native 4K and non-native 4K that there are discrepancies between sharpness/contrast on wither 1080p vs. 4K material. (I've never seen a projector that was the best on both contrast/sharpness for both 1080 & 4K sources)...is this an inherent limitation by the pixel-shifting method? If so, then it must be equally a strength of native 4K (why else would the Sony 285 be sharper than the Optoma UHZ60) as its counterintuitive why a native 4K pj such as the Sony would be sharper on 1080p content than the native 1080p projector (and vice-versa). I would suggest the definition of "4k" include something about if the projector can resolve sharply a one pixel line ~1/4000 of the image wide, if it can, not sure why it matters how it does it. Thanks, as always, for your generous amount of time in thoughtful write-ups. I own the Epson 5040UB, and before I saw the image, I was suspicious about Pixel-shifting, because I had seen some pretty garish video enhancements before (Darbee comes to mind). But pixel-shifting is entirely different, and I look at the image my Epson 5040UB puts out when given 4K Source material, and it is stunning and elegant, and I just couldn't imagine it being any perceptibly sharper. It looks as detailed as any 4K TV which I have seen. So put me in the Pixel-Shifting convert category. I think the conclusion of this article is this: We didn't need 4k for home use at all. A 30 inch computer monitor that you look at from 3 ft away - sure. But 110" screen from 10-12 ft away and you can barely make the difference. Total waste of money, earth resources and will result in huge electronics waste over the coming years. Thanks for this article, I am staying at 1080p for a few more years. Evan, Fantastic real world review. My gut says when 8k or 7680 pixel displays and content arrive that the human eye will not be able to notice a difference in appearance to 4k at a normal viewing distance 1.0 or greater vs screen diagonal size. Good active HDR+ along with 10bit or 12bit color with a powerful bulb or laser source will give a better WOW factory than any increases to resolution. That’s QUITE a twist on what the article was saying. On a 120” screen sitting 9-10ft away, the resolution increase of my Epson 5040UB compared to my older Panny PT-AE8000U was very noticable, and worth the upgrade. I’ve been leaning towards the Optoma UHZ65, but has anyone actually played games on this sucker? My last projector was Epson Pro Cinema 9350 and have no clue on that lag time. Obviously I’m not upgrading often but I’ve been happy with my epson. I bought my dad an Epson 5040UB last year and I recently bought an Optoma UHZ65. A couple of observations: The Epson has no business looking as good as it does with a 4k image source. It's ridiculous how crisp it is. I heartily recommend it. I still bought an Optoma UHZ65 (sight unseen) because I wanted each of the 4K pixels provided from my video source displayed (which the Epson doesn't provide) and I thought the UHZ would make a difference. But first, I certainly agree with the author on his findings for the setup he described. My issue with this review is that the observations were taken from a 5' screen. Who is buying a projector of this caliber for use on a 5' screen? Yes, if you ask me 4k is probably a waste for a 60" screen. However, it's not realistic use of these devices. Our setups are 10-11' screens and I absolutely want to get up close for that immersive feel and not see the pixels. At 10 feet, I could easily make out the pixels on my old Epson 3010. On the UHZ65, I definitely can not. It's as sharp as advertised to the point of tricking my poor wife's brain and giving her motion sickness when watching an intense action sequence. It looks real and covers your line of sight at the same time. The Planet Earth 2 sequence with the baby lizards and the snakes is gut wrenching stuff. The Epson's amazing contrast in darker scenes is noticeably better than the UHZ and that does count for a lot, but pops has a windowless room to play with and I don't. The UHZ's blazing 3000 lumens works better for my ambient light situation. Those 4k games are unreal on this thing. Regarding the validity of pixel shifting 4K being faux-k. I haven't noticed it to be an issue. My boss has a high end Sony with native 4k resolution and I can't tell the difference in resolution or refresh speed with respect to the pixels. However, the UHZ has a noticeable "rainbow" affect. This is due to the same light source being used for the three projected colors via a spinning color wheel. I only notice it when turning my head or if a particular action sequence is moving quickly enough, but it's there. I will upgrade a few years down the road just to get rid of that issue. Houston, nobody is suggesting these projectors be used on 5' screens. You get maximum benefit from 4K projectors when using them on 100" or larger screens, depending on your viewing distance. The 5' images in this test were used simply for comparative evaluation of the projectors when they are both projecting the same size image. You get the same results if you compare them at any size when maintaining the same ratio of viewing distance. Interestingly and curiously, the editor of this article has chosen to compare just one part of the 4K UltraHD specifications, the resolution (which is let’s say about 1/3 or even just 1/4 of UHD), and actually leaves out the MAIN and MAJOR part of it, the HDR and Wide Color Gamut (WCG), which, if you read and document yourselves, you’ll find out is actually what makes UHD new and best, and makes images look so good! And rest assured, those features are the ones responsible for the better contrast noticed in the article. Sure, good contrast comes from other things too, such as the light source (type, efficiency, etc. ), optical system, and so on, but from a UHD point of view, HDR and Wide Color Gamut are mostly the ones that make good contrast and definition! Of course, one might argue that projectors aren’t currently “there” yet with HDR and Wide Gamut standpoint, and they are still struggling hard to display them. But if we’re talking about 4K UHD and leaving out HDR & HCG we’re actually NOT talking about 4K UHD. Instead we’re just comparing resolutions. That’s just my humble opinion, as an avid movie watcher, which had found this article while searching for more GOOD information about 4K UHD projectors since I’m looking out for a replacement of my old and good projector. I'm not for a second wanting to be dismissive or to offend anyone; just wanted all of us to have real, complete and good information before we go make our choice! Thanks for your comments, Felix. I think may people will agree that resolution was the first but not necessarily the most impactful feature of the UHD format. HDR in particular does have the potential to alter the viewing experience for the better, though more so with high-light-output flatpanel TVs than with projectors, which do indeed struggle with hitting the highlights in an impactful way. That said, resolution is indeed a very critical aspect of the front projection experience given the larger screen size. This article was very specifically about comparing the perceived image detail of 4K-resolution projectors vs. 1080p-resolution projectors that accept 4K content, make use of HDR and wide color gamut encoding, and use pixel-shifting to bring more perceived detail to the screen. The writer's conclusion -- that the differences in perceived detail are fairly minimal -- suggests that buyers are free to focus more on other factors that will improve the image quality (higher rated contrast, better rendering of HDR for example) or improve the set-up or user experience (powered lens functions, etc.). Has anyone addressed the durability/longevity of phase shift DLP projectors? My last DLP projector started getting stuck pixels as it got old. It seems that faux-K dlp phase shift projectors will not last as long since they have to perform up to 4x as many on/off cycles vs. a native 4K DLP chip. You also have the additional failure mode of the phase shift movement itself. Thanks for the article. I appreciate the thoroughness and the acknowledgement that not everything involving picture quality is about the number of pixels. But......there is one inescapable fact and I can scarcely believe this doesn't get talked about more. It begins with this notion that detail is somehow irrelevant once one can no longer discern individual pixels. This is simply not the case. Consider what you experience when you see an image from a high-end DSLR on a TV or computer monitor or phone or tablet. When you see a similar image, but one taken with a camera of lower quality, even if you can't discern pixels, there is no question as to which picture has more real data and more information. It is the resolution and resolving power of micro-contrast that is a direct byproduct of fine detail retrieval. Yet if you're looking at such images on anything other than an actual print, you are looking at a finite number of pixels equal only to what any given display can reproduce. And yet, even with tiny pixels and huge PPI numbers, the higher resolution photograph is obviously superior and anyone can tell that there is more information. There is source resolution and there is pixel resolution. With true 4K source material, a true 4K projector that is displaying simultaneously the entire array of pixels will have an advantage in actual information visible. Now that doesn't mean that a projector with superior contrast or more accurate color won't be deemed superior in overall enjoyment. But......true 4K is still a different animal than Faux-K. Pixel shifting technology is clearly a leap over straight 1080p. But let's not be so eager to jump on the 'megapixels/resolution doesn't really matter' train that we forget that micro-contrast and fine detail are what more pixels and higher resolving power make possible. It seems like it's become vogue to think one more 'in the know' if you bag on 4K and start touting the virtues of other things because it makes you sound like you have some kind of hidden knowledge that the masses aren't privy too. Faux-K is great. True 4K, provided color and contrast are of similar high quality is still a different and better beast.